Toward a stem cell model of human nervous system development Human cells could one day show us more about why neural tube birth defects occur and how to prevent them. Human embryonic stem cells can be guided to become the precursor tissue of the central nervous system, research led by the University of Michigan has demonstrated. The new study also reveals the important role of mechanical signals in the development of the human nervous system. While studying embryonic development using animal embryos can provide useful insights about what happens during human development, human embryos grow differently even at this early stage. “There is a critical need to establish embryonic developmental models using human cells. Not only could they advance our fundamental understanding of human development, they are also essential for regenerative medicine and for testing the safety of drugs and chemicals that pregnant women may need or encounter,” said Jianping Fu, an associate professor of mechanical engineering, who has been supervising this research. There is a critical need to establish embryonic developmental models using human cells. Jianping Fu, associate professor of mechanical engineering. In humans, the cells that will later differentiate into the central nervous system (including the brain and spinal cord) are known as the neural plate, while those that stand between the neural plate and future skin cells are called the neural plate border. The neural plate folds in on itself about 28 days after conception, becoming the neural tube, and the border on either side of it fuses together along its length. When the neural tube fails to close properly, it typically results in paralysis or death. “The exact causes of neural tube defects are not clear, and there is currently no cure for them. Environmental factors, such as certain drugs pregnant women take, may play roles in causing neural tube defects,” said Fu. In the new study, Fu’s research team arranged human embryonic stem cells into circular cell colonies with defined shapes and sizes. The cells were then exposed to chemicals known to coax them to differentiate into neural cells. During the differentiation process, cells in circular colonies organized themselves with neural plate cells in the middle and neural plate border cells in a ring around the outside. “Since all of the cells in a micropatterned colony are in the same chemical environment, it’s amazing to see the cells autonomously differentiate into different cells and organize themselves into a multicellular pattern that mimics human development,” said Xufeng Xue, a PhD student in mechanical engineering working in Fu’s research group. Xue is a co-first author of the paper. Disc-shaped colonies shown with phase contrast (top) and fluorescence (bottom) microscopy. Between day 3 and day 9, cells in the center of the colony grow faster and become much more densely packed. Confined space drives the cells in the center of the colony to become neural plate cells, whereas those cells at the colony border (experiencing less confinement) differentiate into neural plate border cells. Image: Xufeng Xue, Integrated Biosystems and Biomechanics Laboratory, University of Michigan. Fu’s team observed that cells in the circular colony became more densely packed in the middle of the colony, where they became neural plate cells, versus the colony border, where they became neural plate border cells. Suspecting mechanical signals might affect their differentiation, they placed single human embryonic stem cells onto adhesive spots of different sizes. In the same chemical environment, single human embryonic stem cells grown on larger spots began signaling events within the cells that drove them toward becoming neural plate border cells. These signaling events were inhibited in stem cells confined on smaller spots. The team also developed a system to stretch cells in the middle of a colony. Responding to this mechanical signal, the cells in the middle of a colony differentiated into neural plate border cells, rather than the neural plate cells at the center of an ordinary colony. “While many current models attribute patterning of embryonic tissues to chemical gradients or cell migration, our results show that these factors may not be the only drivers,” said Yubing Sun (ME PhD ’15), a former doctoral student in Fu’s lab and now an assistant professor of mechanical and industrial engineering at the University of Massachusetts, Amherst. Sun is a co-first author of the paper. The study, titled, “Mechanics-guided embryonic patterning of neuroectoderm tissue from human pluripotent stem cells,” is published in Nature Materials. This work was supported by the National Science Foundation (grant numbers CMMI 1129611, CBET 1149401and CMMI 1662835), the American Heart Association (grant number 12SDG12180025) and the U-M Department of Mechanical Engineering. Fu is also an associate professor of biomedical engineering, cell and developmental biology, and is an associate director of the Michigan Center for Integrative Research in Critical Care. Lab-grown lung tissue could lead to new cancer, asthma treatments A look at how Michigan Engineers created a biomaterial scaffold to help researchers from the U-M Medical School grow mature human lung tissue. In a breakthrough that could one day lead to new treatments for lung diseases like asthma and lung cancer, researchers have successfully coaxed stem cells—the body’s master cells—to grow into three-dimensional lung tissue. This could be useful in future cell-based therapies that repair damaged lungs by cultivating new, healthy tissue. University of Michigan researchers grew the tissue by injecting stem cells into a specially developed biodegradable scaffold, then implanting the device in mice, where the cells grew and matured into lung tissue. The team’s findings were published in the Nov. 1 issue of the journal eLife. Respiratory diseases account for nearly 1 in 5 deaths worldwide, and lung cancer survival rates remain low despite numerous therapeutic advances during the past 30 years. Cell-based therapies could be a key to improving treatment, helping damaged lungs heal in much the same way as a bone marrow transplant can treat leukemia. But the complexity of lung tissue makes such treatments much more difficult to develop. While previous experiments had successfully grown lung cells, the cells were immature and disorganized. So Shea worked with a U-M medical school team led by Briana Dye, a graduate student in the U-M Department of Cell and Developmental Biology, on a new approach. They developed a three-dimensional, biodegradable scaffold that helped the lung cells mature and begin to develop into structures like those inside an actual lung. Made of PLG, a spongy, biodegradable material, the scaffold was shaped like a small cylinder approximately five millimeters wide and two millimeters tall. The team injected stem cells into the scaffold, transplanted it into mice, then allowed the cells to mature for eight weeks. The scaffold provided a stiff structure that supported growth of the mini lungs after transplantation while still allowing the transplanted tissue to become vascularized, growing blood vessels that supplied it with nutrients. When the team examined the tissue, they found that it had not only survived, it had developed tube-shaped airway structures similar to the airways in adult lungs. It also developed mucus-producing cells, multiciliated cells and stem cells similar to those found in adult lungs. “In many ways, the tissue grown in the study was indistinguishable from human adult tissue,” says senior study author Jason Spence, Ph.D., associate professor in the U-M Department of Internal Medicine and the Department of Cell and Developmental Biology at the U-M Medical School. The researchers caution that they’re far from growing anything like a complete human lung—the tissue grown in the experiment was a mass of lung cells scattered among other types of cells inside the scaffold. But they say it’s an important early step that can yield valuable information about how healthy cells grow and develop. In the future, that could lead to new treatments for lung disease. The lung tissue is one of several types of cultured organ tissue, or “organoids” that U-M research teams have developed—other cell types they’ve created include intestines, pancreatic cells and placenta cells. In addition to their uses in developing new cell-based therapy, Shea says the cells can provide a human model for screening drugs, studying gene function, generating transplantable tissue and studying complex human diseases like asthma. The paper is titled “A bioengineered niche promotes in vivo engraftment and maturation of pluripotent stem cell derived human lung organoids.” The research was supported by the National Institutes of Health (grant number R01 HL119215), by the NIH Cellular and Molecular Biology training grant at Michigan and by the U-M Tissue Engineering and Regeneration Training Grant. ANN ARBOR—A new interdisciplinary health sciences resource center at the University of Michigan has received an $11.7 million award from the National Institutes of Health to advance regenerative medicine. The center, led by the School of Dentistry, brings together scientists, engineers and clinicians from several U-M departments in collaboration with researchers at the University of Pittsburgh, Harvard University and private companies. They will investigate new ways to restore dental, oral and craniofacial tissues lost to disease, injury or congenital disorders. Technologies advanced in these areas could lead to tissue engineering applications for other parts of the body as well. The research, funded by the National Institute of Dental and Craniofacial Research, involves U-M collaborators from the Medical School, School of Public Health, College of Pharmacy, College of Engineering, Office of Technology Transfer and Michigan Institute for Clinical and Health Research. Other co-investigators are from the McGowan Institute at Pittsburgh and the Wyss Institute for Biologically Inspired Engineering at Harvard. The center is named the Michigan-Pittsburgh-Wyss Resource Center: Supporting Regenerative Medicine in Dental, Oral and Craniofacial Technologies. The three universities have committed financial support in addition to the $11.7 million NIH award to create a project total of about $14 million. The U-M-based resource center is one of two announced today by the NIDCR. The other is based at the University of California, San Francisco. The combined NIH awards total $24 million over three years. The collaboration of the Michigan, Pittsburgh and Harvard researchers came out of an initial one-year organizational phase funded with a previous NIDCR planning grant. The new funding supports a second, three-year phase during which investigators will evaluate and select research projects that have the most scientifically sound, clinically applicable and commercially viable strategies for the regeneration of dental, oral and craniofacial tissues. The resource center will match the projects with engineering, biological, manufacturing, commercial and regulatory expertise from the clinical, academic and private sectors in order to more efficiently translate discoveries into clinical practice. Regenerative medicine refers to research that integrates engineering and biology, seeking to regenerate damaged cells, tissues or organs to their full function, such as finding ways for the body to heal wounds faster or to repair bone that has been damaged. Research strategies can be material-based, cell-based and drug delivery, or combinations of those. 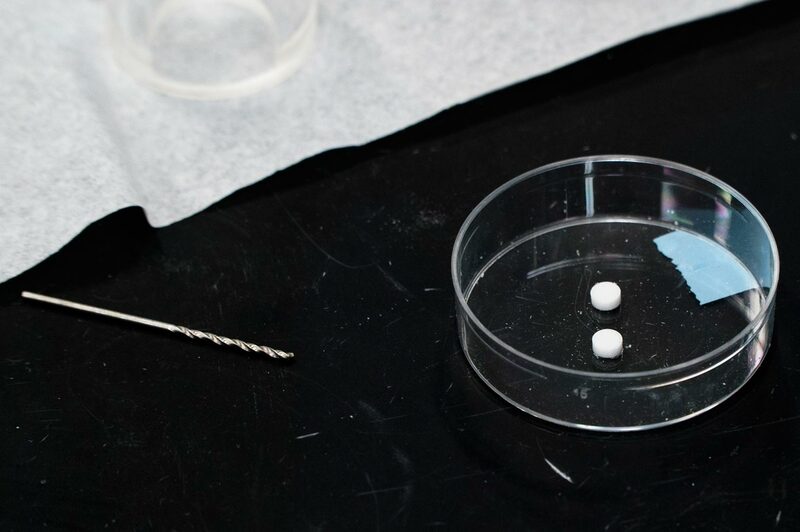 Some of the current material-based research in the craniofacial area, for example, uses tiny polymer-based scaffolds that are implanted to promote the growth of damaged bone or periodontal tissue that supports teeth or tooth replacement dental implants. Project directors and principal investigators at the School of Dentistry are David Kohn, professor in the school’s Department of Biologic and Materials Sciences and also professor of biomedical engineering at the College of Engineering, and William Giannobile, the William K. and Mary Anne Najjar Professor of Dentistry and chair of the Department of Periodontics and Oral Medicine, and professor of biomedical engineering at the College of Engineering. Laurie McCauley, dean of the School of Dentistry, said the resource center has assembled a strong team poised for important breakthroughs in this quickly evolving field. “Drs. Kohn and Giannobile have established a multidisciplinary group with a robust plan that will build on Michigan’s success in basic tissue engineering and training to achieve transformative approaches in regenerative medicine,” she said. Kohn said this three-year phase will be a period of investigating many aspects of each project. “The purpose of the center is to vet technologies,” he said. “And not only vet them scientifically but vet them clinically: Is this scaffold going to solve a compelling clinical problem? Vet them in terms of manufacturing: Can this be manufactured? Can it be manufactured to FDA standards? Vet them in terms of commercialization: Is anyone going to invest and buy this? Giannobile said U-M is uniquely positioned to lead the center. The funding application notes that U-M is the only university in the country with Top 10-ranked dental, medical and engineering schools on the same contiguous campus, which makes it easier for interdisciplinary collaboration in tissue engineering and regenerative medicine. “There are so many excellent independent investigators here at U-M with individual grants and patents in regenerative medicine,” Giannobile said. “We feel fortunate that we were able to coalesce many different groups from around the university that could really help spearhead regenerative medicine at Michigan with this type of larger, programmatic grant. Joining Kohn and Giannobile as project directors and principal investigators are Charles Sfeir and William Wagner of the University of Pittsburgh and David Mooney of Harvard. The project includes two key private-sector contributors—the McGuire Institute of Houston, with extensive experience in practice-based clinical research in regenerative oral and periodontal medicine, and the Avenues Company of Flagstaff, Ariz., a marketing consulting firm focusing on clinical and business development strategies in regenerative dentistry. NIDCR is one of 27 institutes and centers under the umbrella of the National Institutes of Health. NIH is part of the Department of Health and Human Services. The new Michigan and California centers are part of the NIDCR’s Dental, Oral, and Craniofacial Tissue Regeneration Consortium, an initiative designed to shepherd new therapies through preclinical studies and into human clinical trials. The ultimate goal is to develop strategies and devices that could help repair or regenerate damaged tissues such as craniofacial bone, muscle and blood vessels, nerves, teeth and salivary glands. By: School of Dentistry writer Lynn Monson at dentistry.communications@umich.edu, or (734) 615-1971. BME Assistant Professor Ariella Shikanov has just received an NSF CAREER award to help fund one of the three approaches her lab is taking to help restore ovarian function in women and girls undergoing treatment for cancer and autoimmune disease that is toxic to the ovaries. They’re also essential for enabling girls to go through puberty. Girls who’ve lost ovarian function require synthetic hormones, whose long-term use carries a health risk. In addition, the dosage has to be just right. Too little and the girls won’t grow sufficiently. Too much and the bones’ growth plates close prematurely. Without optimal dosing, the girls are at increased risk for various bone, cardiovascular, and metabolic problems like diabetes and obesity. Shikanov would become captivated by this issue and begin down a road that would lead her from the Hebrew University in Jerusalem to U-M via a postdoctoral fellowship in the lab of Lonnie Shea. Then at Northwestern, and now U-M’s William and Valerie Hall Chair and Professor of BME, Shea had been working on ovarian tissue engineering and needed a postdoc with expertise in polymer synthesis and hydrogel development. Shikanov, a medicinal chemist by training, had the right skill set. “He told me, ‘Don’t worry; you’ll learn about reproduction,’” she says. Over the next four years, she found herself doing surgeries in mice, looking for ways to make ovarian tissue transplantation more successful, and developing synthetic culture environments for ovarian follicles – the structures that contain immature eggs and are essential to endocrine function. She was deep in this work when U-M announced a cluster-hire position in reproductive biomaterials that precisely matched her expertise. She was hired in 2012, launching a lab that would address ovarian function through three distinct but mutually reinforcing projects. Shikanov’s first project aims to restore endocrine function in girls with damaged ovaries, allowing them to undergo physiologic puberty. She is developing an implant that encapsulates donor ovarian tissue in an immunoisolating hydrogel. Injected under the skin, it won’t restore fertility but would stimulate the production of estrogen at this critical time. With a grant from The Hartwell Foundation, her lab has already demonstrated in mice that the process works and that its longevity is determined by the number of follicles implanted. She plans to move to larger animal models before testing the product in humans. Shikanov’s second project, for which she won her CAREER award, aims to understand the cell signaling involved in the development of ovarian follicles so she can design better culture systems for harvested tissue. Harvesting of immature ovarian follicles holds promise for restoring fertility when a woman can’t freeze her eggs – either because she doesn’t have time to undergo ovarian stimulation prior to starting treatment or because she has a hormone-driven cancer where stimulation would be inappropriate. The problem has been getting follicles to survive and mature in culture. She hopes to remedy this through mechanistic studies of folliculogenesis. Using transcription factor reporters, metabolomics, and systems biology, she aims to reveal the identity, timing and activity pattern of secreted growth factors and transcription factors that allow follicles to grow. During the project, she plans to continue collaborating with Lonnie Shea, as well as with BME computational modeling expert David Sept, new faculty member Kelly Arnold, and U-M’s metabolomics core, MRC2. She will start the experimental work in mice, but hopes to move to human tissue in a matter of years. “I want to get to the point where I can take one follicle and say, if I add this list of factors at these concentrations in this timing sequence, I will be able to grow the follicle without adding other follicles or cells,” she says. Her final project is the design of an artificial ovary. This involves encapsulating the smallest, primordial follicles in a synthetic polymer that mimics the ovaries’ natural environment with the goal of restoring both fertility and endocrine function. She expects that her mechanistic studies will offer substantial insights to this work. Shikanov says her research is extremely gratifying, and she enjoys introducing it to young people, especially women, through camps and programs for middle and high schoolers. In addition, her lab is always seeking talented postdocs interested in learning more about biomaterials in reproductive sciences. She can be contacted at shikanov@umich.edu. The University of Michigan School of Dentistry is one of 10 institutions in the country that has been selected by the National Institute of Dental and Craniofacial Research (NIDCR) to establish a center that will develop clinical applications in tissue engineering and regenerative medicine that have dental, oral and craniofacial tests. The Michigan Regenerative Medicine Resource Center, as it’s official known, will be led by Drs. William Giannobile and David Kohn. Their education and expertise complement each other – Giannobile’s as a clinician/life scientist; Kohn’s as an engineer. Giannobile chairs the school’s Department of Periodontics and Oral Medicine. Kohn is a professor in the school’s Department of Biologic and Materials Sciences and a professor in the Department of Biomedical Engineering at the College of Engineering. Crucial to achieving that objective, Kohn says, will be establishing teams of multidisciplinary and interdisciplinary specialists from across the University of Michigan, industry and private practice. “These teams will be dedicated to selecting the most scientifically sound, clinically and commercially applicable strategies to regenerate oral tissues,” he says. Historically, Kohn says, discoveries in a laboratory have progressed in a linear fashion, that is, they move forward one step at a time before being commercialized and used clinically. “We want to change that approach,” Kohn adds. “Our teams will take discoveries that show promise and provide the resources to advance the technologies to apply them more quickly than in the past.” This approach, he adds, is uniquely suited to Michigan’s broad scientific, clinical and engineering strengths, and interdisciplinary culture. Giannobile says clinical teams will work with technical advisory groups and data centers to assess what might be feasible clinically. In the past, he says, scientists and clinicians have not always communicated to take advantages of scientific advances that can be used by dentists in a patient care setting. 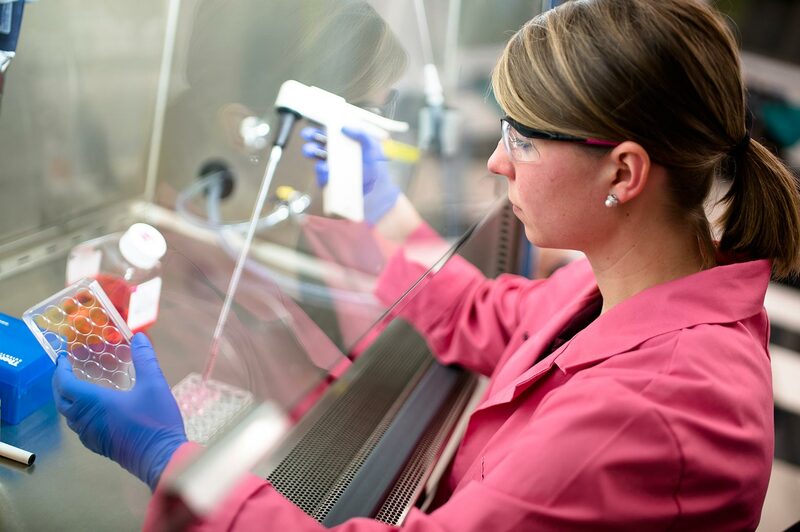 Among the groups that will help the Michigan Regenerative Medicine Resource Center will be the Wyss Institute at Harvard, a multidisciplinary research institute that focuses on developing new materials with applications in health care, manufacturing and other areas, and the McGuire Institute in Houston which focuses on delivering clinical applications based on research using new or improved technologies. The center was established with a $125,000 grant from NIDCR, the first step in what will be a two-step process. The next step involves submitting a proposal that could possibly lead to funding for as much as $10 million, sometime next summer.